This is a promise we have pursued in surgery since 1923. With this claim in mind, we develop and market medical technology solutions such as implant systems, electrosurgery units, surgical laser systems, sterilization containers, OR lights, surgical instruments as well as individual OR solutions. And in many cases, we have set new benchmarks. As part of our "marManagement", we are currently carrying out an instrument audit in Sri Lanka for the first time. In addition to qualifying the instruments, this includes documenting the processing procedures and training of the staff to optimize the service life and facilitate value retention of the instruments. This can increase the efficiency of the hospital and the specialist knowledge of the staff. The IPS® family now includes IPS Implants® Preprosthetic. The Department of Oral and Maxillofacial Surgery at the Hannover Medical School (MHH) has developed a functionally stable framework implant. It is manufactured using a 3D laser melting process. Since 2015, more than 25 patients have already opted for IPS Implants® Preprosthetic and can benefit from the advantages of the new immediate dental rehabilitation. The clinic's cooperation partner is the KLS Martin Group. We have conducted our “1st Expert Meeting on Advanced Operation Techniques in Gynecology and General Surgery” in Sharjah University, UAE. With more than 50 participants from the region and 7 international speakers we can look back on a great and successful event! For our annual "Latino training" for our distributors from Latin America, we welcomed around 20 participants to our KLS Martin WORLD in Tuttlingen and trained them in the areas of HF and lasers, modular operating theaters as well as OR lights and ceiling pendants. In addition to product presentations, practical workshops and a visit to our shareholder company Karl Leibinger Medizintechnik in Mühlheim were also part of the program. Our new, innovative operating light marLED® X was awarded the iF Design Award 2019 and the Red Dot Award: Product Design 2019 by renowned design experts. Our L1® Mandible ReconGuide, a system of reusable resection guides for mandibular reconstruction with fibula graft, was awarded the internationally renowned iF Design Award 2019 in the category "Product - Medicine / Health". Every year, a large number of women in developing countries suffer from severe internal injuries during childbirth, such as birth fistulas. If these are not treated, a normal life is almost impossible for the patients. The Hamlin Fistula Hospital in Addis Ababa in Ethiopia, takes care of the women's suffering and treats them free of charge. The KLS Martin Group supports the hospital with donations in kind. More than 50 distributors from all over the world participated in the “Expert Training Course in Electrosurgery and Surgical Lasers“ held at our visitor center KLS Martin WORLD in Tuttlingen. The participants were acquainted with the most important sales arguments, the clinical application and competition-relevant information on our electrosurgery products and surgical laser systems. A practical hands-on training was conducted as a supplement to the theoretical part. The first course of the RUMED Academy takes place between 16th and 24th February 2019 in Jakarta. Together with the KLS Martin Group and the MMM Group, the 25 participants learn different topics around the processing of medical devices in practical and theoretical parts. At this year's International Sales Conference of the Tuttlingen-based KLS Martin Group, numerous sales managers were selected who have exceeded their annual target. "It fills me with great pride to look back on the development of the KLS Martin Group in recent years. Since 2010 alone we have been able to more than double the worldwide turnover of the group, which is a remarkable achievement", summarises Karl Leibinger, President of the KLS Martin Group. A young girl with a tumor of the size of two tennis balls in her lower jaw. It is difficult to imagine what this means for her and thus representatively for the lives of other tumor patients. We are world market leader for operating lights and instruments for CMF surgery! We received this title due to the outstanding quality of our products as well as the development of leading technologies. We are very pleased to receive this award and will continue to pursue our mission "Surgical Innovation is our Passion" to provide our customers and their patients with the best possible solutions to secure our position. Our development and production company Karl Leibinger Medizintechnik (KLM) plans to build a new production and construction building with around 5,300 square meters of space on three levels. With an expected investment of 10 million euros, the new building is the largest single investment in more than 100 years of company history. Employees of the KLS Martin Group collected donations for the women's shelter in Tuttlingen in the course of the #Metoo debate and ceremoniously handed them over. We warmly congratulate to the inauguration of the “Centro Médico Naval (CEMENAV)” in Mexico City. Christian Leibinger, President of the KLS Martin Group, is extremely satisfied with this year's trade fair presentation: "The MEDICA 2018 was a highlight for us. The booth was impressive and as digital as ever. On two floors, we were able to welcome customers and interested parties from all over the world, exchange ideas and present our new products." Our development company Karl Leibinger Medizintechnik has been awarded by Focus magazine as "Germany's Most Innovative Company". The award is based on an analysis of social media contributions of the 5,000 employee-strongest companies in Germany. Born without eyes and nose. Now the patient receives a new face. For nine years, the patient lived without eyes and nose. Now the operation was successfully completed by Dr. Piotr Pogorzelski and Dr. Maciej Jagielak in Warsaw. We present our new cooperation with MMM Group called RUMED Academy. Congratulations to the inauguration of Velan Hospital in Trichy, India. All operating theaters but also the ICU and NICU rooms are equipped with KLS Martin wall solutions and products. The inauguration was a great event. Approximately 200 doctors attended the ceremony. We wish Dr. Rajavel, the owner of the hospital, and his entire team all the best. Karl Leibinger Medizintechnik enjoys the "highest reputation" in Germany within the medical technology industry. This is the conclusion of a study by the magazine Focus. 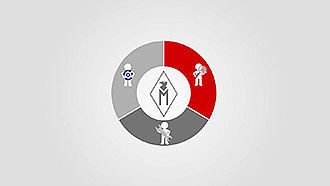 Accordingly, Karl Leibinger Medizintechnik is one of the "companies in Germany that enjoy the highest reputation among customers and consumers". We are pleased to introduce a new member of the KLS Martin Group to you – KLS Martin IPS Service S.L.. 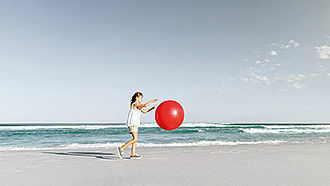 The company is dedicated to the management of individual patient implants. Headquarters are located in San Sebastián in Spain. KLS Martin IPS Service is a cooperation of our long-term distribution partner Osteoplac in Spain with the KLS Martin Group. The company currently employs six people, five engineers and one coordinator. We would like to cordially welcome all team members to the KLS Martin family and wish them every success in their work. The KLS Martin Fellowship in Clinical Oncology and Reconstructive Surgery offers comprehensive training in oral and maxillofacial oncology as well as reconstructive microvascular surgery. This fellowship is part of a five-year Matching Fund Challenge in conjunction with the IAOMS Foundation. We have designated a dollar-for-dollar match on all donations made to the IAOMS Foundation, up to $400,000, in order to support the Foundation's much-needed programs. After two years of planning and one year of construction, we could complete the marWorld® project “ADK Hospital Male (Maledives)”. In a recent study by Focus magazine on fairness at work, our developing company Karl Leibinger Medizintechnik achieves the second place in the medical technology sector. Overall, the Tuttlingen-based KLS Martin Group is highly satisfied with the performance of the past financial year. In 2017, the family-run manufacturer of technical medical solutions for all aspects of surgery generated sales of over EUR 240 million worldwide for the first time. Adjusted for exchange rate effects, the KLS Martin Group achieved a worldwide growth of close to 10 %. Happy birthday, KLS Martin WORLD! 950 events and 7,500 participants. On January 20, 2018, we were celebrating the second birthday of our KLS Martin WORLD training center in Tuttlingen. We say Happy Birthday! KLS Martin Group is a globally leading supplier of medical technology solutions for almost all surgical fields. 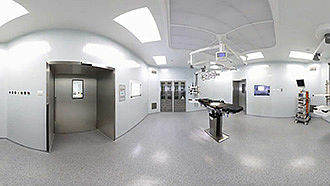 marWorld® is the comprehensive, modular concept for your customised surgical environment. Bernard Tsang and Philip Wurster are Business Development Managers at the KLS Martin Group. Both of them got the possibility to work abroad in another subsidiary. That has been a great chance for their career and to develop themselves. Erfahren Sie im Video mehr über die OP-Technik zur Behandlung einer Kraniosynostose mit dem SonicWeld Rx®-System und unseren resorbierbaren Implantaten. 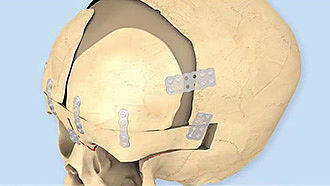 Watch the video and learn about the surgical technique for the treatment of a craniosynostosis with the SonicWeld Rx® system and our resorbable implants. IPS CaseDesigner® by KLS Martin is the intuitive software for planning and simulating surgical interventions based on individual patient data sets. 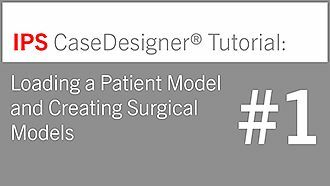 This first tutorial on the IPS CaseDesigner® shows how to load a patient model and create surgical models. 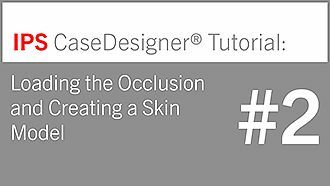 This second tutorial on the IPS CaseDesigner® shows how to load the occlusion and create a skin model. This third tutorial on the IPS CaseDesigner® shows how to perform virtual osteotomies. 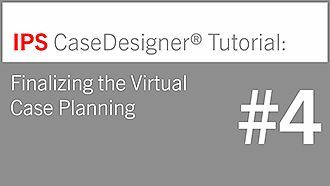 This fourth tutorial on the IPS CaseDesigner shows how to finalize the virtual case planning.